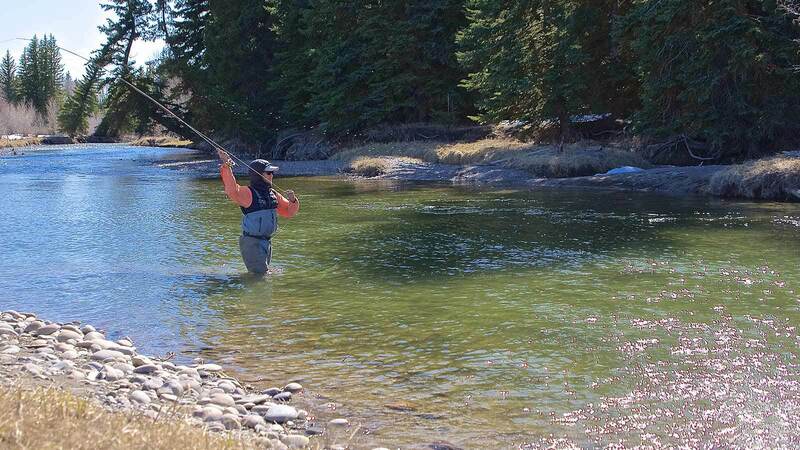 More physical than float trips with more involved and often more challenging fishing, walk and wade trips are great for fly fishermen who want to learn a lot and get a more immersive angling experience. These trips’ meetup times are affected by seasonality and conditions, but you can expect an early meetup for full-day trips to the Firehole River in Yellowstone and a 5 or 6 p.m. return with lunch provided. Expect a short drive and a 4-hour trip door-to-door for the Flat Creek fishing trip. Other custom trips available to the Snake River or Green River that can be float/wade combinations and tend to follow a full-day float schedule. Call 307-690-0910 to book a trip that fits your skill level, desires, and schedule. Or click on the available options below to find your perfect trip. One of the most unique rivers anywhere with a variety of water types conducive to learning how to fly fish. On this guided fishing trip into the heart of Yellowstone, you’ll spend a full day in a picturesque river teeming with wildlife. Bring a camera and binoculars, because sometimes you won’t know whether to pay more attention to the plentiful fish, the picturesque surroundings, or the elk, bison, and other big game you’re likely to see.